If you are craving a delectable combination of fresh seafood and enticing spices, you need a great Cajun seafood boil. There is nothing quite like a classic mix of bold spices, fresh seafood, and an unforgettable sauce. Finding seafood away from the coast can be difficult, but it does not have to be. 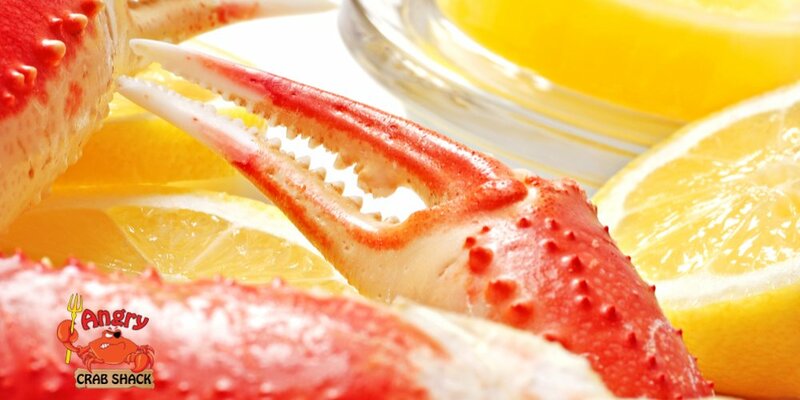 Angry Crab Shack is home to the most delicious seafood dishes in Arizona’s Valley of the Sun. Seafood is a staple in classic Cajun cooking. Inspired by classic recipes from the French countryside, French-Canadian settlers in the Southwestern United States perfected a local mix of seafood, spices, and vegetables cooked to perfection. From soups to rice-based jambalaya, Cajun cuisine offers a plethora of delicious dishes to satisfy any appetite. Despite popular belief, Cajun and Creole dishes don’t have to be spicy. However, there are plenty of spicy blends and fiery sauces to appease any hot sauce fanatic. If you are in the mood for something more at home in the desert, you can choose a number of non-seafood options. From hamburgers and chicken sandwiches to onion rings and Angry edamame, you will enjoy a range of items for anyone who is not feeling fishy. Or, get the best of both worlds with a classic Surf N’ Turf meal.Soups and salads can be a healthy start to a meal, or a meal themselves. Enjoy spicy gumbo or traditional house salads for a well-rounded selection of high-quality food. Though not all Cajun food is spicy, most Cajun fans quickly fall in love with the brilliantly bold combination of local flavors and scorching heat. At Angry Crab Shack, we are proud to offer a range of spices and sauces to satisfy your need for spice. Our Cajun seafood boil can come in six different spice variations. From Mild to Ridiculously Hot, each level is increasingly warm and packed full of flavor. If you are a fan of spices or desire the burning sensation while you enjoy your meal, try our Me Know Likey spice to maximize the wonderful flavors of your seafood. There are plenty of sauces to choose from, all of which can add unique layers of flavor to your boil. Why Choose Angry Crab Shack? At Angry Crab Shack, we are committed to innovative and exciting alternatives. Our locations not only offer delicious seafood at great prices, but they are also great gathering places for your family, friends, or community group. Whether you are looking for a rowdy hangout in your local area or a fun-filled meal while on vacation in Arizona, choose one of our locations for your next meal. There are plenty of locations in Phoenix and the rest of the valley. Discover the closest location, and get ready to have your fill of fresh, authentically delectable Cajun cuisine. Don’t take our word for it. Stop by a location near you to experience unparalleled seafood in Arizona. From tempting appetizers to hearty Cajun seafood by the pound, there’s plenty to try and plenty to love at Angry Crab Shack. It’s not only the best place to try delicious seafood in the desert but an unforgettable experience for both locals and visitors alike. You may come for the food, but you’ll stay for the community.